The Avenue des Champs-Élysées is a prestigious avenue in Paris. With its cinemas, cafes, luxury specialty shops and clipped horse-chestnut trees, the Avenue des Champs-Élysées is one of the most famous streets in the world, and remains the most expensive strip of real estate in Europe.The name is French for Elysian Fields, the place of the blessed dead in Greek Mythology. 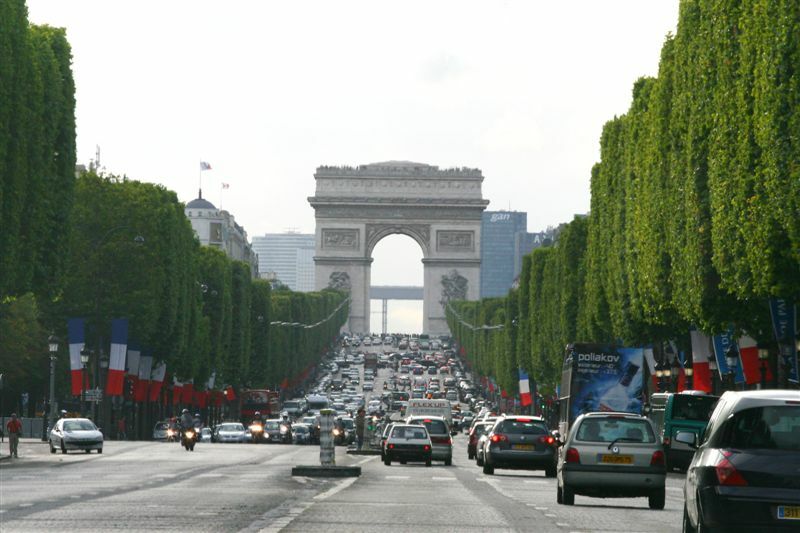 The avenue runs for 2 kilometers (1.25 miles) through the 8th arrondissement in northwestern Paris, from the Place de la Concorde in the east, with the Obelisk of Luxor, to the Place Charles de Gaulle (formerly the Place de l'Étoile) in the west, location of the Arc de Triomphe. The Champs-Élysées forms part of the Axe historique. One of the principal tourist destinations in Paris, the lower part of the Champs-Élysées is bordered by greenery (Carré Marigny) and by buildings such as the Théâtre Marigny and the Grand Palais (containing the Palais de la Découverte). Further to the west, the avenue is lined with cinemas, cafés and restaurants (most notably Fouquet's), and luxury specialty shops. The Champs-Élysées ends at the Arc de Triomphe, built by Napoleon Bonaparte to honour his victories.